Yahoo’s press release made no mention of the fact that Mayer may be taking some time off soon to care for herself and a new baby. McKenna goes on to point out that Apple had an SEC investigation opened after they didn’t disclose issues with then-CEO Steve Jobs’ health. As many have pointed out, fatal cancer is not the same as a healthy woman having a baby. I feel that I should have to type this but pregnancy is not a disease. What does employment law have to say about this non-conundrum? Quite a bit, as any practicing HR professional will tell you. 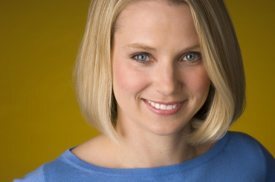 Yahoo did not have the right to ask Mayer (although at six months pregnant they may have known) and Mayer had no obligation to disclose the fact (although she did and Yahoo! did not presumably, care). So onto the listing exchange rules, which McKenna states is the basis for her query. Why because WWP (working while pregnant) is hard enough. Business pundit Brian Sullivan appeared on Morning Joe to analyze Mayer’s announcement she would take maternity leave but work from home. “Take some time off…work on the company when you can..” said Sullivan, intimating that Mayer may be in for a rough road ahead….and further intimating that she may not be up for it. “It’s a sample size of one, and it’s hard to know if this represents social change. I certainly have hope, but most of the evidence shows that there’s substantial discrimination of pregnant women who are working,” said King, who’s an associate professor of psychology at George Mason University with a focus on women and the workplace. A substantial discrimination of pregnant women who are working for sure, for if analysts can ignore an employment law that has been on the books since BEFORE I WAS BORN, listing exchange rules and the very formiddable track record that Mayer holds to insist that a woman cannot take on a big job and a new baby at once, what hope is there for the rest of us? In fact, pregnancy discrimination cases have been on the rise for the past 10 years, with this years number topping those claims made in 2010.